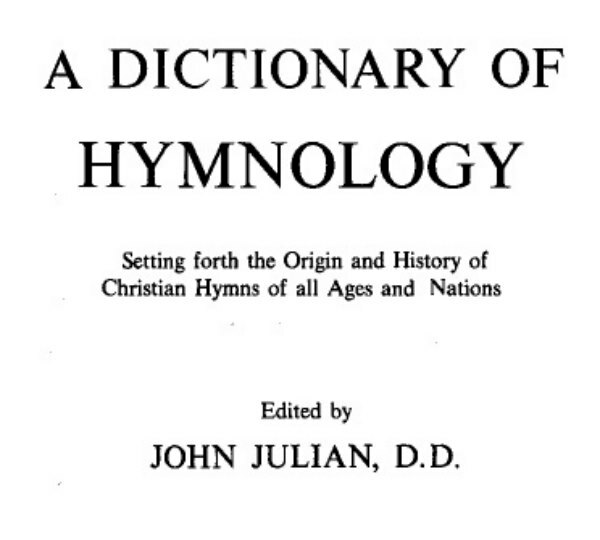 John Julian (1839-1913) published A Dictionary of Hymnology: Setting for the Origins of Christian Hymns of all Ages and Nations, which contained more than 40,000 entries. It was published in London by John Murray and n New York by Charles Scribner’s. The dictionary was the standard reference work on Christian hymnody until 2013 when the Canterbury Dictionary of Hymnology was published. John Julian was a vicar in Yorkshire and one of the most influential hymnologists and promoters of hymn singing of his time. In addition to his dictionary, he published many other books and articles on hymns, and edited several collections of hymns. 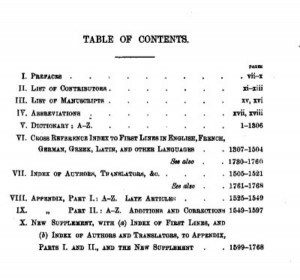 The contents page from John Julian’s A Dictionary of Hymnology (1892).